Blue Sky Project Tracker is a web-based time tracking system. 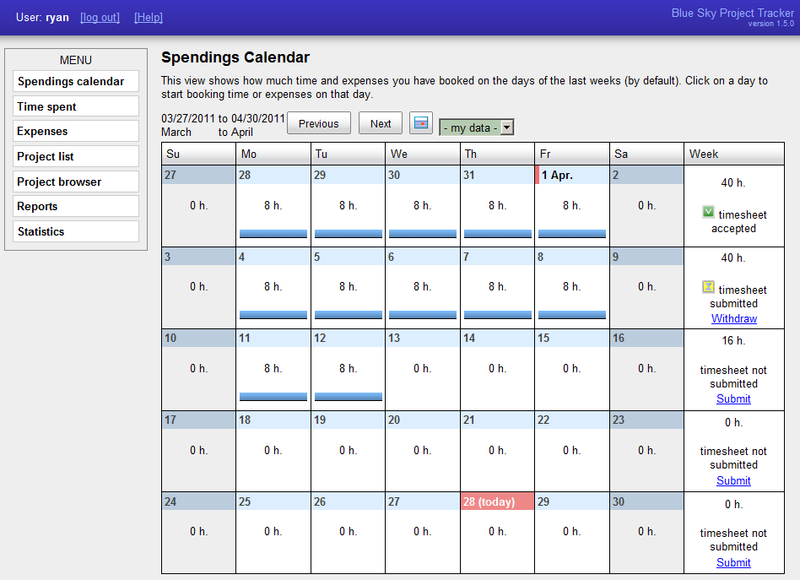 In the web interface employees can enter the time spent on a project, as well as expenses. After a full week has been entered, the employee can submit the timesheet for approval by the manager. The data for time spendings can contain additional user data field, such as notes, and the type of activity. Statistics can be viewed in graphs and tables and exported to spreadsheet software. Dimlog is a software tool to record how much time you spend on a project, a type of activity or other user-defined categories. Categories are organised in a multiple trees. Time is recorded by the built-in clock, or by manually entering the start and stop time. 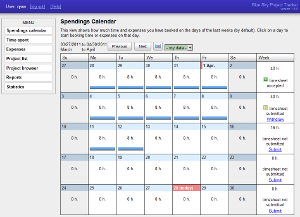 Time spending statistics can be viewed and exported. Multi-user access is supported. The Weights and Measures Converter can be used to convert linear, area, cubic, or weight measures. For example, calculate how many inches equals twenty centimeters. The Weights and Measures Converter is available online. EditAll is a file editor on the level of the bits and bytes. This is useful if you have no other suitable editor (or viewer) available for a specific data format. With EditAll you can view and edit files of any format. The file content is shown in text, decimal, or hexadecimal format.